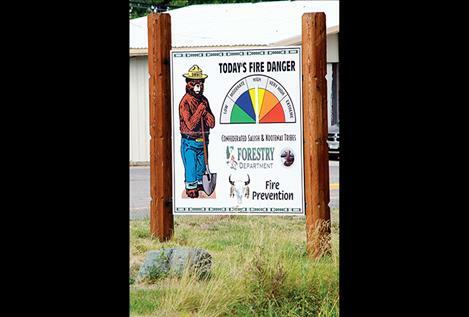 MONTANA – With fire season comes conjecture about the causes of the fires and patterns in fire activity. Is fire season getting more intense and longer? Why is fire season so different from year to year? Local experts, politicians, and scientists share their understandings of wildfire and the ways that they are working to reduce its impacts. 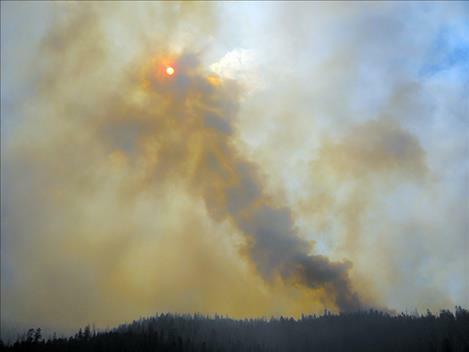 The Confederated Salish and Kootenai Division of Fire manages fires on the Flathead Reservation. CSKT Prescribed Fire and Fuels Manager Darrel Clairmont said that he has observed an increase in the intensity of fire seasons lately. He said that he believes the increases in the sizes of fires in recent years could be attributed to the practice of fire suppression. “The accumulation of fuel that’s in the forests is what’s causing the change in fire behavior,” he said. Clairmont said that fuel management programs like the CSKT fuel treatment program would reduce the number of fires in the country in the long term, though it would take time to see results. A study conducted by the USDA Forest Service and the University of Montana notes that the number and size of wildfires in the west has “increased dramatically” over the past 30 years as the climate in western states has become warmer and drier on average. 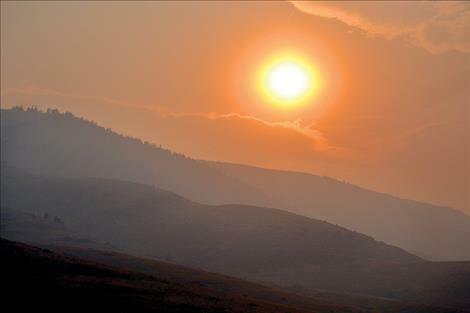 Senator Jon Tester cited a warming climate as a reason for recent changes in wildfire activity. “Climate change has made fire season longer and more intense,” he said. 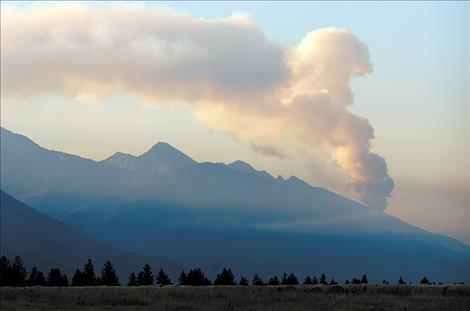 The Forest Service/UM study concluded that an increase in number and size of wildfires in western states like Montana is related to a decrease in the number of summertime rainy days. This conclusion contradicts a prior theory that increases in fire activity could be attributed to warmer temperatures and earlier snowmelt. According to the study, the amount of total precipitation and the duration of dry spells are the greatest predictors of wildfire activity. Increasing dry spells, which the study identifies as strong predictors of fire activity, have been observed throughout northwest Montana in recent years. According to the National Weather Service, Missoula experienced a record number of days without measurable rain this year. For 47 days, the city did not receive any rain events that accumulated more than 1/100th of an inch of rain. The previous record, 46 days without rain, was set in 2017. The study states that climate projections predict more droughts and higher temperatures in the region in the future. This year there have been fewer fires in the Mission Valley compared to recent years. Leaders are working on a variety of fronts to prevent fires and minimize their impacts on residents of the valley. C.T. Camel, fire prevention specialist for the Confederated Salish and Kootenai tribes, educates the public on how they can play their part in preventing fires in the region. He teaches school children how to prevent wildfires starting in preschool, and goes to events to spread the word about reducing human caused fires. He said that this year the number of fires caused by humans is down from average. Though stage two fire restrictions for Lake County were rescinded on Aug. 31, Camel advised residents to remain cautious about potential wildfires. Fire prevention protocol includes putting out campfires completely, not operating cars or machinery in tall grass, and target shooting only in places without vegetation that could potentially catch fire. “You don’t want to spoil the weekend by starting a large fire,” he cautioned. On a national level, Senator Jon Tester said that he fought so that Congress’ funding bill would allow the Forest Service to use disaster funds to fight wildfires. 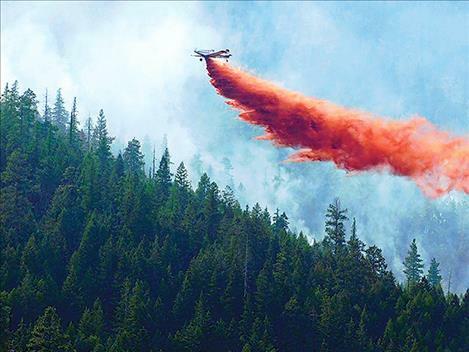 Tester said that this shift would leave the Forest Service with funds to focus on forest management practices that would prevent catastrophic wildfires. Darrel Clairmont works with the CSKT fuels treatment program to reduce the impact of wildfires on the Flathead Reservation by managing forests in the area. Tribal forestry identifies areas where the conditions are right for fires to start or travel, and where homes are at risk of damage from fire. Clairmont’s fuels treatment team addresses the at-risk area by thinning the understory of the forest. Flammable debris are made into a pile. The team burns the extracted fuels and then completes an “under burn.” This low-intensity controlled burn eliminates small surface matter that would burn and spread fire if ignited. This year’s Garden Creek Fire near Hot Springs tested the fuel treatment strategies, Clairmont said. He said that the fire moved through areas that had not been treated, but was controlled in areas where fuels management had been completed. According to Clairmont the fuels treatment program, which treats about 6,000 acres each year, will continue as long as funding is available. Clairmont said that residents of the reservation could lend support for fuel management efforts by supporting controlled burns in the spring and fall. He said he understands that the smoke from controlled burns may be bothersome, especially when they happen directly after a heavy smoke season. However, he says, the payoff is worth enduring a bit of smoke. Clairmont explained that efforts to protect people and their property from destructive wildfire are complex and multi-faceted, as are the fires themselves.